“I assure you that no art was ever less spontaneous than mine. What I do is the result of reflection and the study of the Great Masters.” -–Edgar Degas Like other students of the École des Beaux-Arts (School of Fine Arts) in Paris, Degas would go to the Louvre to study and copy the masterpieces in the great museum. 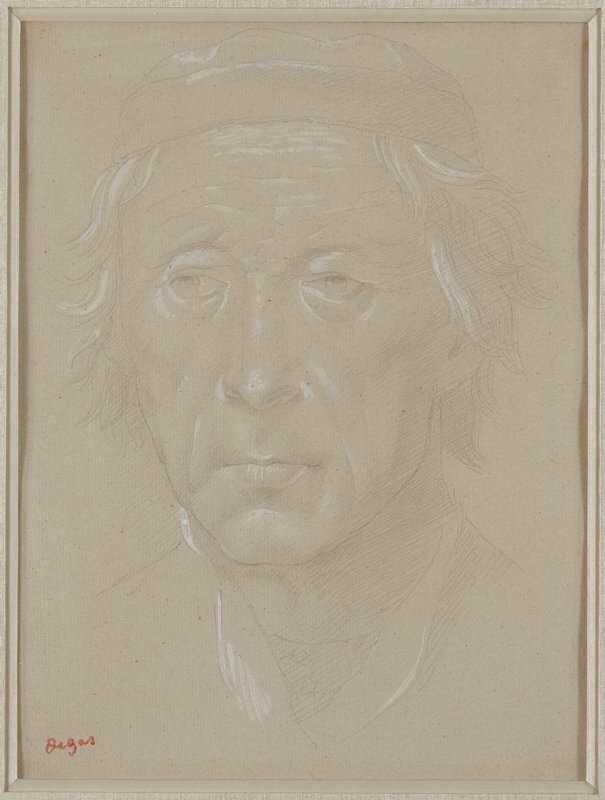 His powers of concentration and his disciplined, meticulous work habits are readily seen in this drawing, a copy after one by Florentine Renaissance master Lorenzo di Credi (1456–1536). The lessons he learned here would serve him well for decades to come. For instance, the fine outlines, diagonal hatching, and streaks of white highlighting on colored papers reappear frequently in Degas’s renowned studies of young ballet dancers. By rooting his skills so deeply, Degas was later able to branch out to find new directions for his own art.